If law enforcement or the military were to stop a suspect that has superhuman strength and speed running over 30 MPH (over 44ft/sec), they would have to use their projectile weapons by either lethal or nonlethal means. The law enforcement would not be able to chase a suspect with superhuman strength and speed on foot that is capable running over 30 MPH top foot speed. The law enforcement or the military would need a motor vehicle, or ride by horseback, or on a bicycle with good strong legs to pedal that bike in order to gain on that suspect, or by police dogs like german shepherd or doberman pinschers if that suspect with superhuman strength is running 30 to 40 MPH. A german shepherd could run a top speed up to 40 MPH (58.7ft/sec), but a doberman pinscher dog could run a top speed of 45 MPH (66ft/sec), and they have more explosive acceleration than the german shepherd. A doberman pinscher would be the best dog to chase after a suspect with superhuman strength that can run a top speed of 40 MPH. If a suspect with superhuman strength and speed would get up to a top running foot speed of 45 MPH or faster, it would take a cheetah that have a top running speed of 70 MPH (102.7ft/sec) to chase after that suspect, and then again, that cheetah may have that suspect for a meal after capturing that suspect. But law enforcement or the military would need a land or air engine or motor powered vehicle in order to chase down a suspect with a top speed of 45 MPH or faster. Do not get directly in front of a human suspect sprinting 30 to 40 MPH (51.3 to 58.7ft/sec) top foot speed, because that suspect has an impact force equivalent to a 40 to 50 foot fall, or have an impact force equivalent 3 to 4 times more impact force than an ordinary suspect at 20 MPH (29.3ft/sec) with the same body weight, or a 250lb suspect sprinting 30 to 40 MPH has an impact force equivalent of getting hit by 3 to 4 240lb NFL football linbackers all at once at 20 MPH, or getting hit by a 3200lb Nissan Altima at 11 to 12 MPH, or getting hit by a 700 Harley-Davison motorcycle at 20 to 22 MPH. The impact injuries from a 250lb suspect sprinting 30 to 40 MPH would be so massive, it's an equivalent of getting hit by a car, and broken bones, internal injuries, and level 3 concussion are imminent that could land a person in the hospital or a morgue, and it's capable of ending an NFL football player's careers while wearing full protection football gear. A 250lb suspect sprinting 30 to 40 MPH is like a runaway train under power, or it's like a dangerous missile. Most law enforcement officers are not trained to deal with suspects that has superhuman strength and speed over 30 MPH top foot speed unless that law enforcement officer has the experience and training in handling fast wild animals. 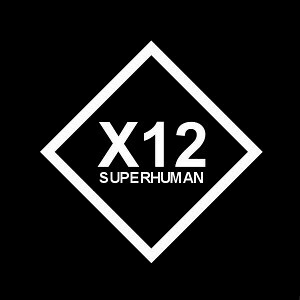 Most law enforcement agencies don't believe human could sprint over 30 MPH, and only very few law enforcement officers know about the X12 highspeed superhuman, and there is only 1 law enforcement officer has seen the X12 in action with his own eyes in doing a full high speed sprint over 35 MPH on foot in out-accelerating and passing an SUV, and that officer name is Houston ISD police Sergeant Jackson. If a law enforcement officer would talk about that suspect has superhuman strength and speed that is running over 30 MPH without a video camera, a chronograph measument video, or any witnesses backing him or her story up; that law enforcement officer may get suspended due to the law enforcement agency's lack of knowledge and belief of humans sprinting over 30 MPH, and then that law enforcement agency may order that officer to take a drug and alcohol test, or they may order that officer to see a psychiatrist for a psychiatric evaluation to determine whether that officer is mentally competent to do anymore law enforcement duties, or if that officer haven't taken his or her paid vacation leave, that law enforcement agency may order that officer to take his or her paid vacation leave. But I highly doubt the criminals could successfully develop superhuman strength and speed, because it takes a lots of self discipline, patience, and time to train and develop that superhuman strength and speed in which most criminals don't have, the criminals have to be drug and tobacco free, or else their body would quickly and painful fall apart while trying to use their superhuman strength. If I figured out how to develop superhuman strength and speed over 30 MPH top foot speed, those young people on the opposite side of the law may eventually figure out to how to develop superhuman stength and speed too. Some of those top rated professional football players could run 30 MPH, and that's nothing new about that. So those professional football teams are measuring their players top foot speed as well as their 40 time (40 yard dash time), and they won't broadcast their player's top foot speed, but they only broadcast their players 40 time. By you entering this website, you are bound to the terms.